IDTÂ® (Integrated Device Technology, Inc.), a leading provider of mixed-signal semiconductor solutions for digital media experiences, announces the launch of its new Serial RapidIOÂ® Gen2 system modeling tool. Designers and architects in markets such as wireless infrastructure, military, imaging, video, and storage can now use this new tool to virtually create a new Serial RapidIO Gen1 or Gen2-based system. Designers and system designers can design their entire system quickly and confidently and avoid potential bottlenecks in the design by leveraging the capabilities of Serial RapidIO to support a variety of topologies. This allows designers to virtualize systems before creating a physical prototype, improving IDT customer design efficiency and speeding time to market. The new IDT Serial RapidIO Gen2 system modeling tool helps system designers optimize data or traffic flowing through the Serial RapidIO interconnect in a virtual environment before spending significant development costs on physical prototypes. The use of Serial RapidIO Gen2 in the design increases the raw bandwidth available in the system and also helps manage congestion issues while avoiding long-term traffic bottlenecks. Ron Jew, General Manager of Flow Control Management at IDT Communications, said: "As a leader in Serial RapidIO, IDT is committed to providing customers with RapidIO solutions for next-generation design innovations to help them overcome potential bottlenecks in their designs. IDT system modeling tools help our customers streamline product development by supporting system traffic requirements with components that use Serial RapidIO capabilities, ultimately bringing their products to market faster." Kathy Brown, Business Manager, Wireless Base Station Architecture, Texas Instruments, said: "Our DSP can be used in complex data-intensive embedded networks to meet the needs of wireless, defense, video and imaging applications. By using the IDT RapidIO system modeling tool Our customers are able to maximize application performance. The performance and interface of the RapidIO network is critical to providing the largest possible amount of data for our DSPs, not only to take full advantage of the performance of our multicore DSPs, but also our current and Embedded accelerators for a variety of specific applications in next-generation DSPs." The IDT Serial RapidIO Gen2 System Modeling Tool supports IDT Gen1 switches and the upcoming IDT Gen2 switches to help current RapidIO customers explore how existing designs will evolve with the new Serial RapidIO Gen2 switches. The system modeling tool also has an updated IDT graphical user interface (GUI) that helps designers and architects easily virtualize the traffic patterns of their systems. The IDT GUI makes architectural decisions faster and more accurately, helping to improve system design and speed up the debugging process. 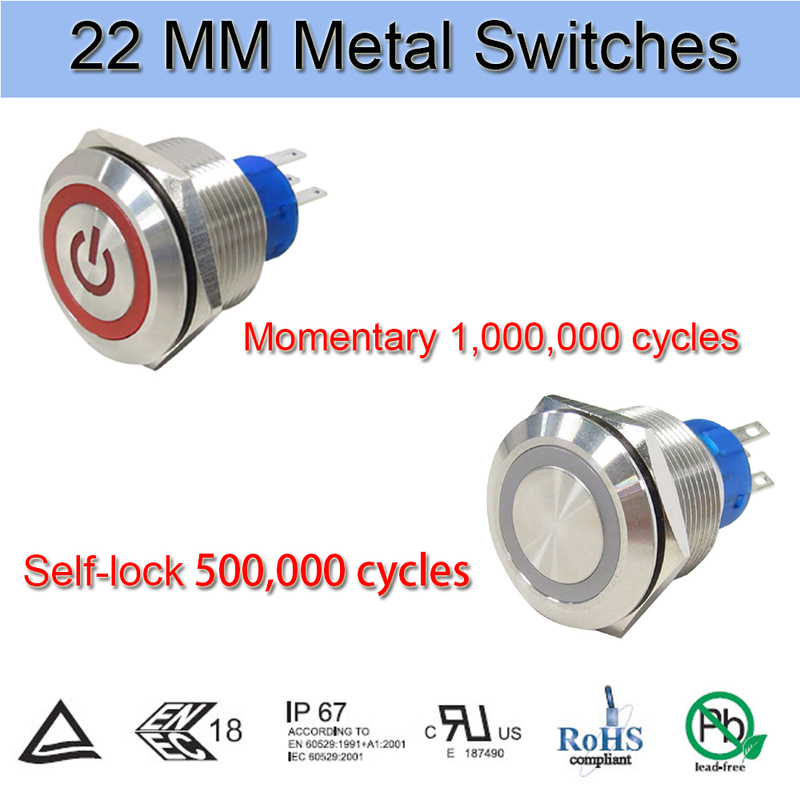 22MM Metal Switches is a larger size in the Metal Switches serious. It is designed vary from people and regions and the design of larger operation button face is for increasing the convenience and comfort when operating. In order to create more function and save more space for this , Waterproof Metal Switch, we adopt single and dual control design, so our one switch could have multiple purposes. This Stainless Steel Switch are widely used in human interface panel, it has P67 dust-proof and waterproof function, IK10 stainless steel material damage resistance level, advanced mechanical life. In addition, in order to meet customer requirements, our larger Anti Vandal Switches has passed the EU green environmental protection RoHS certification, the US UL testing certification, IP67 certification and TUV certification. 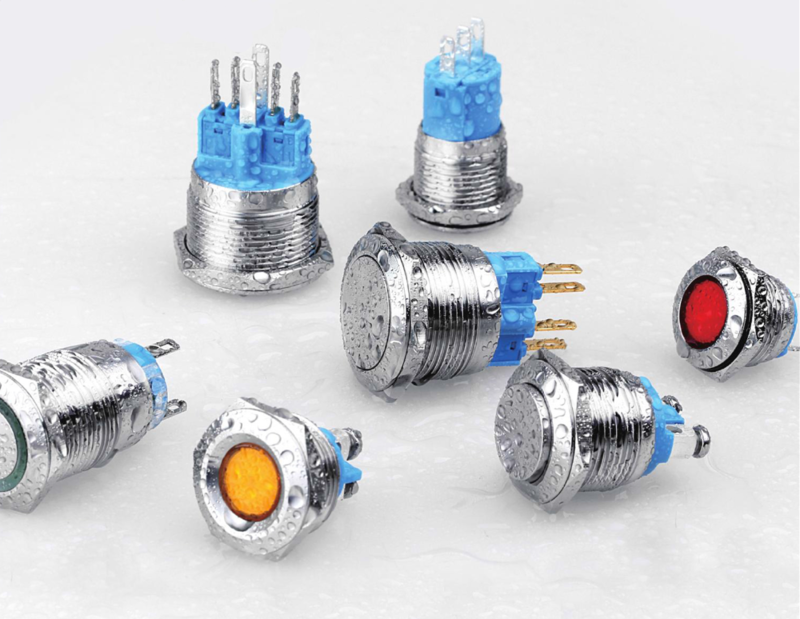 Moreover, customers can choose the metal button with LED light indication according to their own product requirements. The LED lamp beads are all from international brand suppliers to ensure the high life of LED lamp beads and the long-term work without discoloration effect. Previous Post: NVC lighting Wu Changjiang was elected "2009 Guangdong Province Top Ten Economic Man of the Year"